If the data on this page appears old, you may need to refresh the page (refresh your cache) by pressing the F5 key. This will be used once the season has started. Try-outs for April 27th have been cancelled. May 11th try-outs are still on and times/location will be communicated as soon as they are set. Another tryout date soon to follow that date will be scheduled shortly and the times/location will also be communicated as soon as they are set. Please note the following change to registration - If a player ONLY wants to try out for the SAY Premier Program and has no interest in playing in the Regular SAY Program, they can attend the SAY Premier try-outs without registering. We do need you to send an email to the SAY Premier coordinator using the email/envelope link OHYA SAY PREMIER COORDINATORS below so we can keep you informed of the dates/times and location of try-outs. Primary registration is April 1st through May 31st. Players will be added to teams until all teams are filled at each level, which may occur before May 31st for some levels. Once all teams are filled at a particular level, that level will be closed. There will a formal waiting list registration this year. SAY Premier Try-outs for April 27th have been cancelled. For information about all of the programs offered by OHYA, see the Little Kicker, Regular SAY, SAY Premier and Minor/Senior tabs below. For detailed information about each of the programs offered by OHYA, see the Additional Information tab below. It contains printable PDF documents. When entering any phone number, please use the following format 513-987-6543 (area code with hyphens between each part). Thanks! 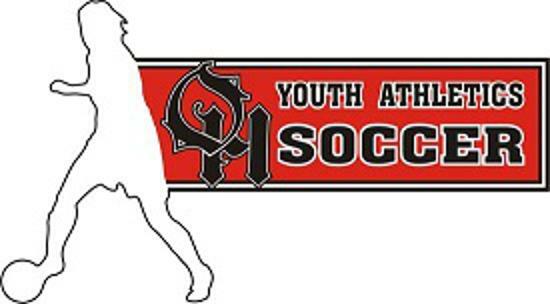 These pages are for SAY Youth Soccer. They are not for teams coached by Oak Hills High School coaches.